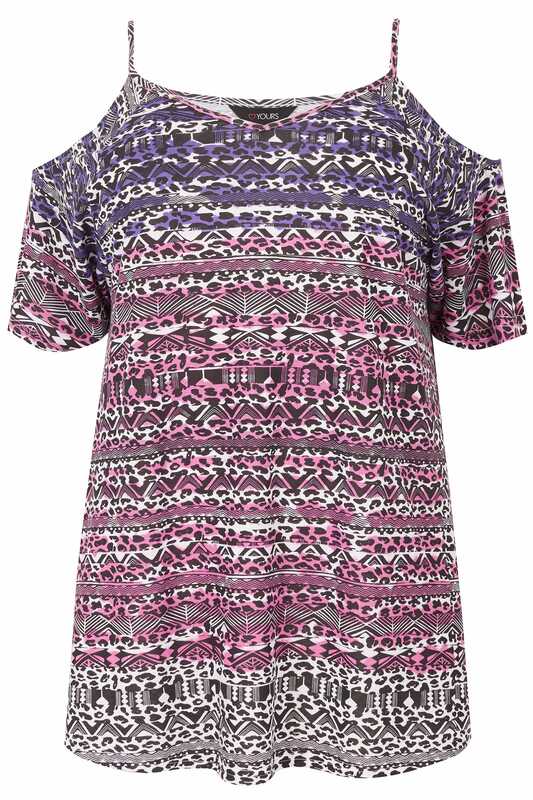 Create a bold style with this top. Made from a jersey fabric, its cold shoulder style features a v-neckline. Team with denim and sandals for an easy go-to look. 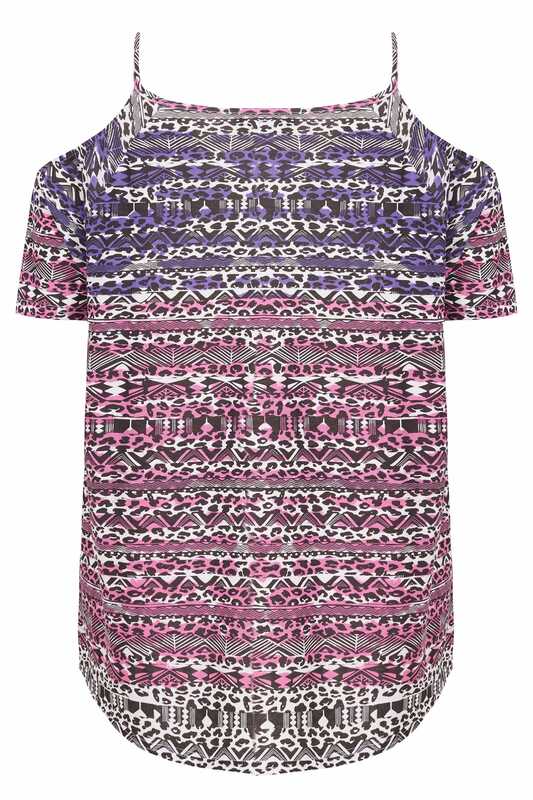 We are loving the statement printed design in pink and purple hues.